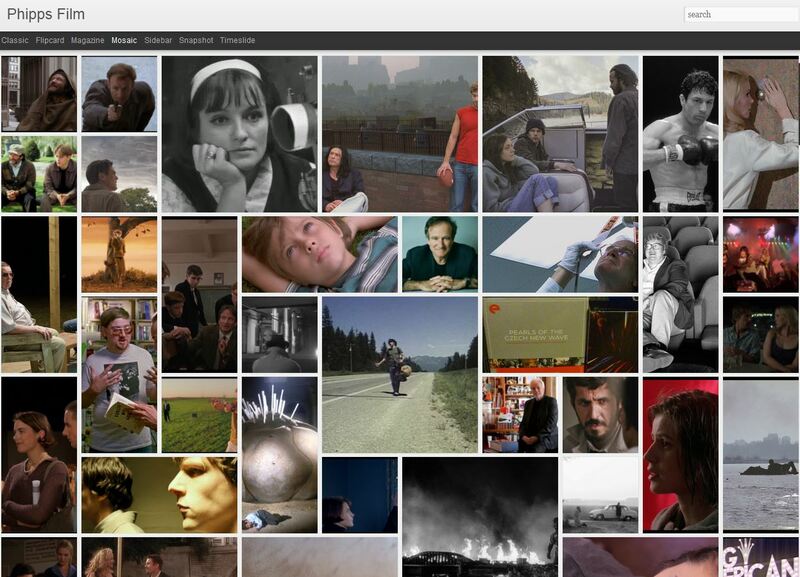 Seems sense to have a visually interesting and easy to use film blog. Grant Phipps’ is one. He writes for No Ripcord. No idea if this a free template or bespoke. Blogspot, which I started with in the year dot before changing to WP, has a lot of interesting templates. Well they all do nowadays. 7 different ways of looking at the reviews he has written. I’ve grabbed the mosaic version. This and snapshot are fun to test your film knowledge. Hover over each to get the title. Note: using Control and + or – to increase of reduce size of each image and the number squeezed onto the page. In mosaic some on the right edge can be half off the page, but heck. Lot of reading in there! Appreciate the reviews/essays/analysis. Thanks Grant. Persona was premièred at the Spegeln cinema on 18 October 1966. The editor Ulla Ryghe has described how the famous scene where the film burns up, often interpreted as if the actual celluloid cannot stand the friction between the two main characters, caused a number of problems at the initial screenings. After a number of projectionists had stopped the film, the film cans themselves had to be marked with red labels assuring them that the actual film does not catch fire, even though it appears that way. –As a nurse talks and her patient remains silent, their identities begin to merge. Nice story. Someone’s bound to use it in a film. Ah, the intertextuality of film. Is there a Bergman Biopic yet? 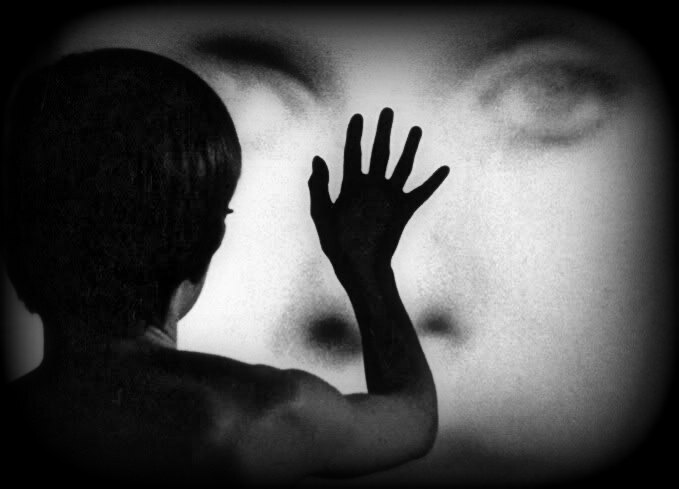 This post is the beginning of my triple-ply, stronger, more absorbent re-look at Bergman, mostly through the lens of auteurism, starting with Persona which I watched again, fortuitously, a few days before reading about Godard, auteurists and cineastes. The Criterion version of Persona is currently available on YouTube. The naughty bits are in, so this must be Bergman’s cut. On the Criterion website, a set of essays on Persona and a 1.31 min. video essay without an oral/aural essay attached, which neatly catches some of the bits you’re bound to look for again in the rewind! If you’re fortunate enough to be able to watch the YouTube on a nice big tv screen, all the better. It’s good definition, but watch it while you can, you never know. I feel I ought to say – which has probably been posted here and there before – that I’m not an academic (clearly) or a formal film student. How I’m learning about film is piece-meal and fragmented. And full of half-understood things. It seems at times like a person dragged off the street and pressed down in a chair in front of an old-fashioned editing machine, strips of film of various lengths hanging all about in the way we see in shots in films about editing rooms, and made to create a film, ending up with an out-takes ‘film’ just like the at the end of Cinema Paradiso but with some other subject apart from kissing. Or more appropriately, here, pre-credit sequence astoundingly similar to the ‘mad’ sequence in Persona. In the previous post, the conversation I picked up the comments stream in a recent Girish post mentioning the publication by Caboose of an English version of Godard’s 1978 Toronto ‘lectures’, with the title Introduction to a True History of Cinema and Television. A commenter made some remarks about auteurists and cinephiles as distinct, in opposition, which Girish had a distinct view on. All this seemed to be something I ought to get clear. Anyone interested in films beyond watching them and a like/didn’t like, ends up with auteur theory, mentioned almost every time someone writes a film book or essay, which ineluctably leads to Truffaut’s “A Certain Tendency of the French Cinema”, back to Andre Bazin et al. and trillions of academic papers, essays and articles. The auteurist vs. cinephile apposition which Girlish deals with made me realise I couldn’t blague my way through this with scant knowledge but needed to sit down and take some time over it. And so for a while to Bergman, considered auteur de auteurs, how he made his mark, put his thumb-print on his work (and why even..). Having watched Persona before reading the post, I was primed, motivated, and ready to go. The history of the cinema has seen directors whose works have been more “original” or “groundbreaking” (such as Eisenstein, Ozu or Godard). And there are plenty of directors who have made as many, if not more films (Griffith, Hitchcock or Chabrol). Yet the question remains: is there anyone who so epitomises the concept of the auteur – a filmmaker with full control over his medium, whose work has a clear and inimitable signature – as Ingmar Bergman? In the book, Godard sets out a philosophy of the image—in the process disproving his own thesis that words are prison, for there is nothing more liberating than this book—and outlines a theory and practice of ‘making’ film history through the act of viewing films. 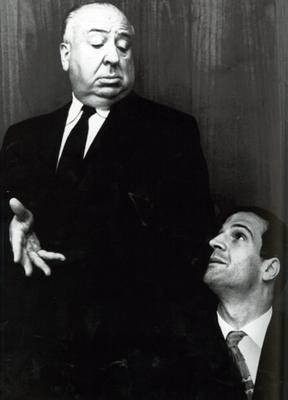 The Montreal talks were the forerunner to his video series Histoire(s) du cinéma. While some critics have described the latter as his Finnegan’s Wake, the True History of Cinema is his Arabian Nights: page-turning true stories of the movies whose idiosyncratic views, leavened with Godard’s famous caustic wit, will delight all readers. Never has Godard been as loquacious, lucid and disarmingly frank as he is here, holding forth, in an experience he describes as a form of ‘public self-psychoanalysis’, on his personal and professional relationships, working methods, aesthetic preferences, political beliefs and, on the cusp of 50, his philosophy of life. Well one thing that concerns me is what appears to be a schism between the “cinephiles” and the “auteurists”, the latter of whom are accused of vulgar auteurism by the “cinephiles”. The cinephiles tend to see ‘foreign art cinema’ of the fifties, sixties, and seventies as the apotheosis of filmmaking and are skeptical of what they perceive as mere entertainment products revered only for their technical merits, the films of Hawks and Ford. I used to be in this camp but now genuinely believe Ford to be among the three or four most important filmmakers of all time. The others are Godard, Renoir, and Vigo perhaps. The auteurists scoff at the cinephiles and then inevitably and perhaps unfairly begin judging Antonioni and Tarkovsky “by their respective audiences”. So should this gap be bridged? And for rhetorical purposes, what makes the “cinephile” attitude reactionary as well as the symptom of a less “advanced” stage of cinephilia? Why does one “grow out of” Tarkovsky but not Ford or Renoir for that matter? My take is very different from yours. — I see no built-in opposition between cinephiles and auteurists (or between cinephilia and auteurism) at all. Cinephilia is the larger category — of all film-lovers who are also (see Antoine de Baecque on this) interested not just in watching films but also reading, writing, talking about them seriously. Auteurists are a subset of cinephiles, and are those who like to view films through the lens of an ‘author’—most often the director. All auteurists are cinephiles but the reverse is not true. There is no hard-and-fast equation of cinephiles with (exclusively) art cinema. See the history of French New Wave cinephilia—Godard, Truffaut, et al. were BOTH cinephiles and auteurists. Some of the most respected cinephiles today (like Jonathan Rosenbaum in the elder generation or Ignatiy Vishnevetsky in the younger) are also ‘selective auteurists’–meaning, they often like to focus on the marks of authorship of the director but this is not exclusively the only lens they bring to analyzing films. — “Vulgar auteurism” is a very narrow, specific phenomenon (see this post and discussion from last summer)—much smaller than auteurism at large. — There are several large conversations (and posts) at this blog about auteurism and cinephilia. You may want to do “searches” on these two terms on this blog; there’s a search box at the bottom of the sidebar. I think you’ll enjoy all the reading you’ll turn up. Perhaps the terms I employed were problematic, but you do raise the issue I’m referring to, that there are cinephiles who judge filmmakers solely based on what they regard to be their ‘medium specific’ contributions whereas others tend to judge films based on how they stack up as ‘works of art’ in a more ‘cosmic’ sense and on how they contribute to what’s perceived as ‘high culture’. So is taking a traditional ‘high culture’ approach to film appreciation reactionary? Also, is it limiting to dwell with an evangelical fervor on ‘medium specific’ elements at the expense of all else, since it often leads to the devaluing of guys like Bergman and Fellini who contributed to art and culture in more of a cosmic sense? …. I believe this is a false opposition. ‘Medium specificity’ has to do with making use of the unique powers of cinema–i.e. doing something in cinema that is not translatable to other forms (like literature or theatre) without great loss. The good practitioners of what you refer to as ‘high culture’ or ‘art cinema’ are VERY much aware of the specific, unique powers of cinema–and they are venturesome in making use of them. Ford’s films contribute as much to the larger world (‘in a cosmic sense’, as you say) as Bergman or Fellini. Think of someone like Jean-Marie Straub (among the most exalted of ‘art cinema’ filmmakers) for whom Ford is one of the supreme filmmakers. All of the above mentioned filmmakers are deeply aware of–and make great, imaginative use of–medium specificity. A definition: “a critical movement committed to assessing the ‘unserious’ artistry of popcorn cinema with absolute seriousness.” Discuss. He points out he’s posted variously on auteur theory and cinephila – searches for these posts bringing up e.g. On Auteurism. In this one, Girish quotes from Dana Polen’s Auteur Desire – a 14 page downloadable file. Since the 1960s and its valorization of auteur theory [..], we have seen more and more filmmakers asserting themselves by a personal enunciation and also signing, as it were, their films with some more or less flamboyant marks of their own characteristic enunciation. E.g.s such as Bergman’s Persona, Antonioni’s Eclipse, Godard’s Contempt, Fellini’s La Dolce Vita. At the beginning of the 1970s, a large theoretical debate surrounded ideology as conveyed by the classical cinema and, in particular, its transparency and effacement of the marks of enunciation. Several filmmakers, in keeping with their political or ideological concerns, believed it best to inscribe the work of enunciation [which is to say the production process] clearly within their films. This section beginning p. 233 is sub-headed, Identification and Enunciation. It’s worth going back to the beginning of the section to get identification/enunciation clear. 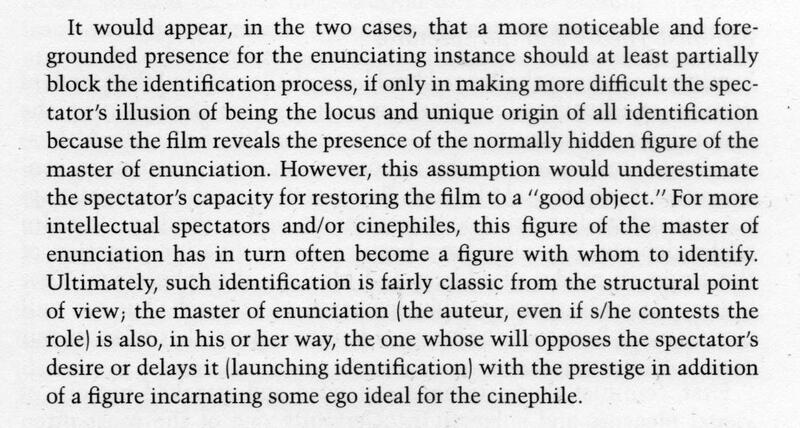 Harry Tuttle in part tackles the confusions over the terminology, auteurist, auteurism, cinephile, by reference to Sillett’s post . in RioDrome – my header Wordle came from here. – Well, no, I’ve not read refs in  &  but I know where to look for them. A quick perusal of titles makes me think this might be a step too far for me. 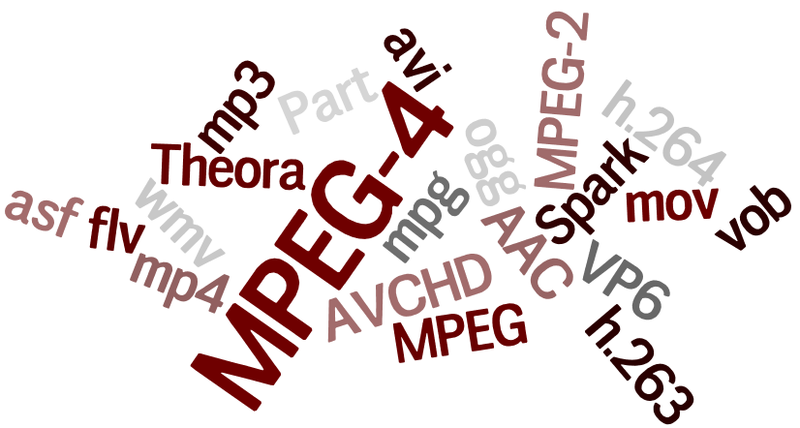 French-English – simultaneous translation – 25 parts – each about 25 mins. – blog about Alfred Hitchcock: his movies, television series, books and more. A 8 minute video essay by :: Kogonada. has the same video but another longer text on it.